When somebody gets seriously ill, the whole idea of healing might seem abstract or surreal. As a result, many patients turn to God and His angels for a miraculous healing. And it is not a bad thing. Many people found healing in their faith in God. The most powerful healer is Archangel Raphael. He is the Heaven’s Physician. He heals the sick and he helps the doctors and nurses. Because he holds powerful knowledge about healing. He is also the patron of the healers. Archangel Raphael is the most popular healing angels. 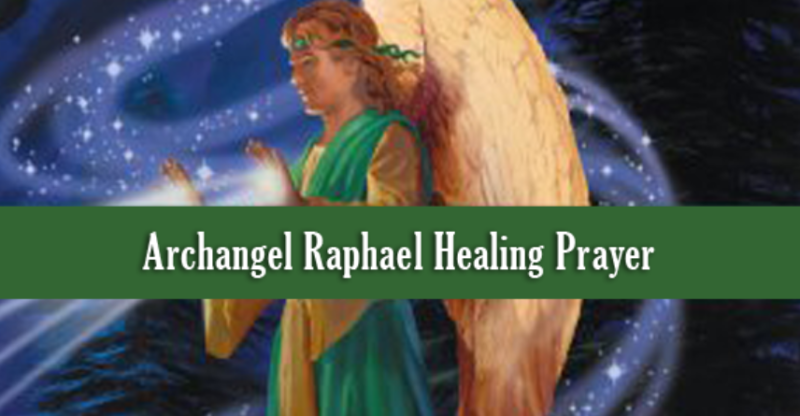 This is why many people search for an Angel Raphael Healing Prayer when they are in need for a miraculous healing. This beautiful prayer is written by Mary Jac. And you can find it in “A Pocketful Of Comfort”. She wrote this prayer to the archangel to ask for healing and guidance. This Angel Raphael Healing Prayer is very powerful. Say it at list twice a day. You might also try an Archangel Raphael Meditation. If you are a fan of meditation. This meditation will clean your whole being with the beautiful green light of Raphael. The most important things, and I always repeat it, to say it from your heart. The words don’t count as much as your intentions and the purity of your heart.